While situation with Iran and Venezuela and with their involvement in crypto market is more or less clear, then nothing is clear about South African Zimbabwe. We have already written how serious approach have been made by Iran, because its economy is suffering from sanctions. 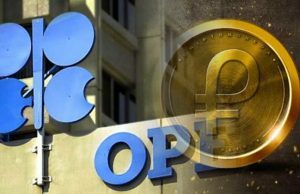 And a review of the Venezuelan crypto market with its oil stablecoin El Petro has been published. But why are Zimbabwe flashing again and again in crypto news? Former Southern Rhodesia, Zimbabwe – a country in the south of the African continent, which God has not deprived of natural resources. And what resources! They are not threatened with a collapse of quotations: the main export items of the country are gold, platinum and diamonds. It would seem country to live happily! But things are not so good. For 37 years, since the country gained independence, Robert Mugabe was in power. A year ago, he was forced to resign as a result of a military coup. After the departure of the 93-year-old dictator, some results of his rule were published. It turned out the old man had done a lot. White population left the country en masse, less than 100 thousand remained, less than 1%. In 2002, the country was expelled from the British Commonwealth of Nations because of human rights violations and electoral fraud. At the same time sanctions were imposed from the side of US and the EU. Of course, the national currency, the Zimbabwe dollar, immediately collapsed – the rate of inflation by 2009 amounted to 231 million (!) Percent. In 2009, the authorities made a wise decision to refuse it at all. The US dollar and the South African rand are now used in the country. The essential problem of the economy is huge unemployment. Only 6% of the population are employed. In 2006, the world’s largest diamond fields were discovered in Zimbabwe – Marange. The volume of diamond production here is about 17 million carats, which is about 13% of the global supply. These only fields could rectify the economic situation in the country, but corruption spoils everything. All profits settle in the pockets of the military and politicians – as observers say. On the other hand, the damage only from European sanctions amounted to $ 42 billion – with a claim for this amount, the authorities appealed to the European Court. With the departure of the aged dictator, ideas of saving the economy by unconventional methods appeared. As in the case of Venezuela and Iran, crypto can be a tool to circumvent sanctions and for replacing foreign currency. The situation was pushed by the capital control introduced under Mugabe. The Reserve Bank of Zimbabwe, RBZ, has limited the amount of USD people can withdraw from ATMs to $ 1K. Zimbabweans started to use bitcoin as alternative, of course. And its rate took off accordingly. In November 2017, the price of bitcoin on the local exchange Golix was twice the global one. 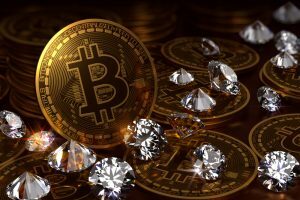 Why so fond of cryptocurrency in Zimbabwe? Yes, for the same reason as everywhere – for the absence of prohibitions and regulation. At the same time, the Zimbabwean exchange stated that the volume of trading increased 4 times. And at the end of 2017, Golix reported that the monthly volume exceeded to $ 1 M, while in the previous year the volume did not reach even $ 100 K. The exchange held its own ICO, which ended on July 25, 2018 with a cap of $ 32 M. According to unverified data, investors from neighboring African countries entered ICO. GLX token is of the ERC20 standard. ICO Golix was named “the largest Pan-African”. And in the team you see only local stuff educated in local universities. Although one would expect British graduates, because before 2002, Zimbabwe citizens did not need a visa to enter the UK. Before the end of the ICO, Golix reported that it would relocate headquarters to another country because of RBZ bans. But there was not confirmation later. We have reviewed cryptocurrency markets in three different countries on three continents. It’s time to draw conclusions. Cryptocurrency becomes in demand in cases where fiat currency ceases to serve the economy. When the economy exists at all. In all three countries – Iran, Venezuela and Zimbabwe – economy exists due to the fact they are rich in natural resources. The first two – in oil, the African country – in gold, platinum and diamonds. Highly liquid resources. Countries have something to sell, this means that at least part of the population is interested in a usable currency. In all three countries, national currencies collapsed under pressure from outside – due to the imposed international sanctions. 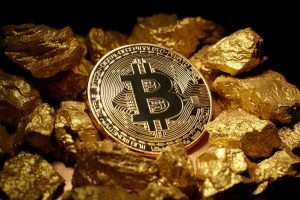 Feverish investments in crypto – and more specifically, in a reliable and tested for a decade bitcoin – caused an explosive growth rate on local crypto exchanges. Accordingly, the brave speculators may well play on this – receiving a win up to 2x. Attempts by local authorities to control the crypto market usually end in nothing. Therefore, for example, there is no certainty with the Venezuelan El Petro. The most predictable situation is in Iran. This country has been developing for many years under the conditions of sanctions; it has not only natural, but also technological resources. Able to develop and maintain crypto market. And it meets with understanding of other countries – for example, Russia. That is why bitcoin rates don’t differ here on large scale from world’s rates. Venezuela pursues a muddled policy in its attempts to introduce cryptocurrency in the economy. 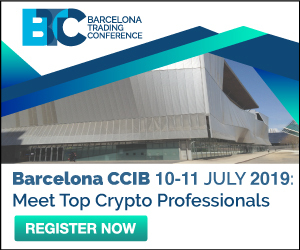 But here people are drawn into the cryptographic markets – due to a very bold decision to pay salaries in crypto. This is an interesting experiment that deserves attention. In the meantime, bitcoin rate overcomes global, since the community has already been created and it refuses the state cryptocurrency El Petro. The most attractive region as to play on the market is Zimbabwe. There is definitely big natural wealth here, this means that currency is also in demand. Bitcoin looks like a very good substitute for the foreign cash in terms of their shortages and the lack of a national currency. Therefore, bitcoin rate can be much higher than global. But you can fail here just as easily as get rich. On the example of this exotic South African country it is seen that the cryptocurrency can be a salvation in the most diverse cases of financial crisis. And especially – when government bodies are affected by the virus of corruption. Therefore, decentralization and transparency make cryptocurrency particularly attractive. And there are great opportunities for investors in these conditions.